Welcome to PAX East. Normal clothing is entirely optional. PAX East is literally fun and games. 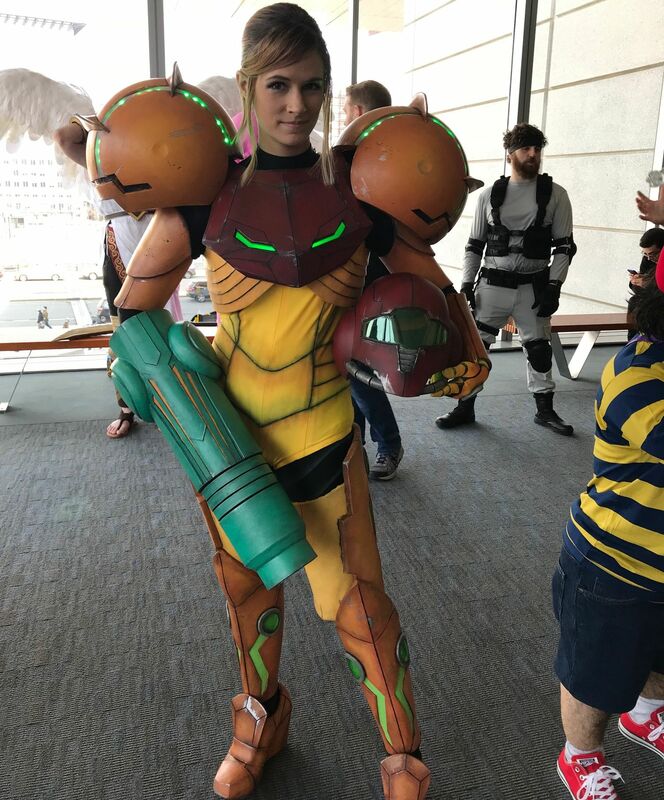 It's not just a chance to hit the show floor and see what's what; it's also a chance to celebrate the more creative and fan-oriented side of gaming. Cosplay ("Costume Play") is fandom-based creative expression in its rawest form. 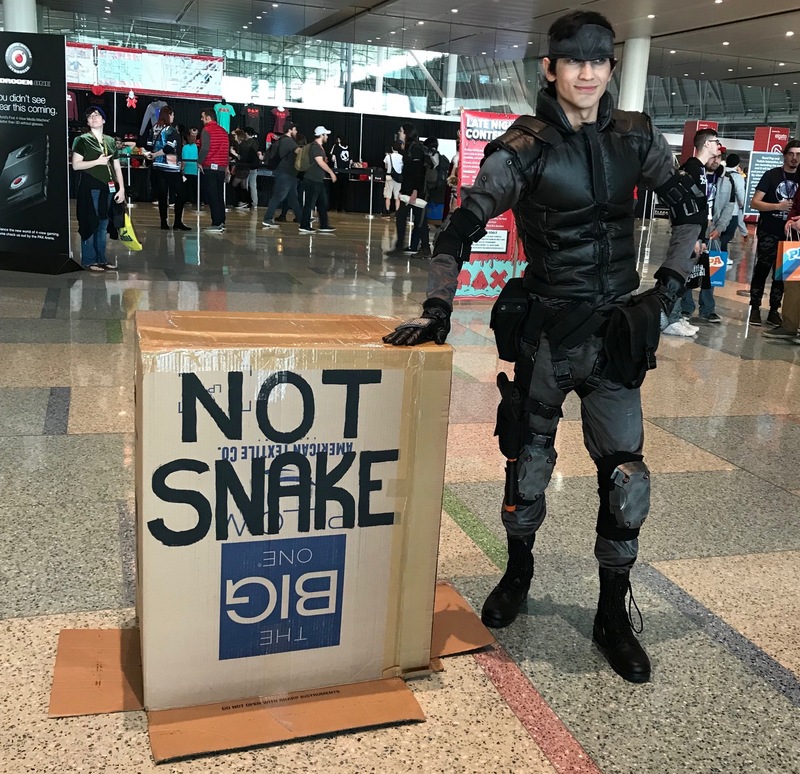 People assemble tributes to their favorite games and characters using everything from professional tailors and the highest-quality materials right down to actual cardboard boxes (these feature heavily in Solid Snake cosplays). People tend to save their best work for the biggest shows whenever possible, and PAX is one of the biggest fan-centric shows on the planet. 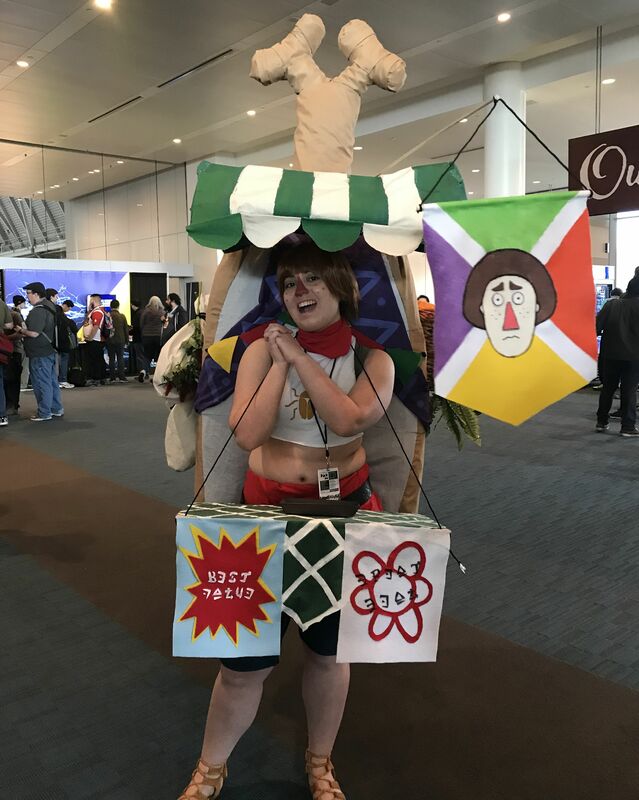 Thus, PAX East 2019 was brimming with some truly remarkable work. I took lots of photos—RIP my phone's memory—and now I'm going to share the best with you. 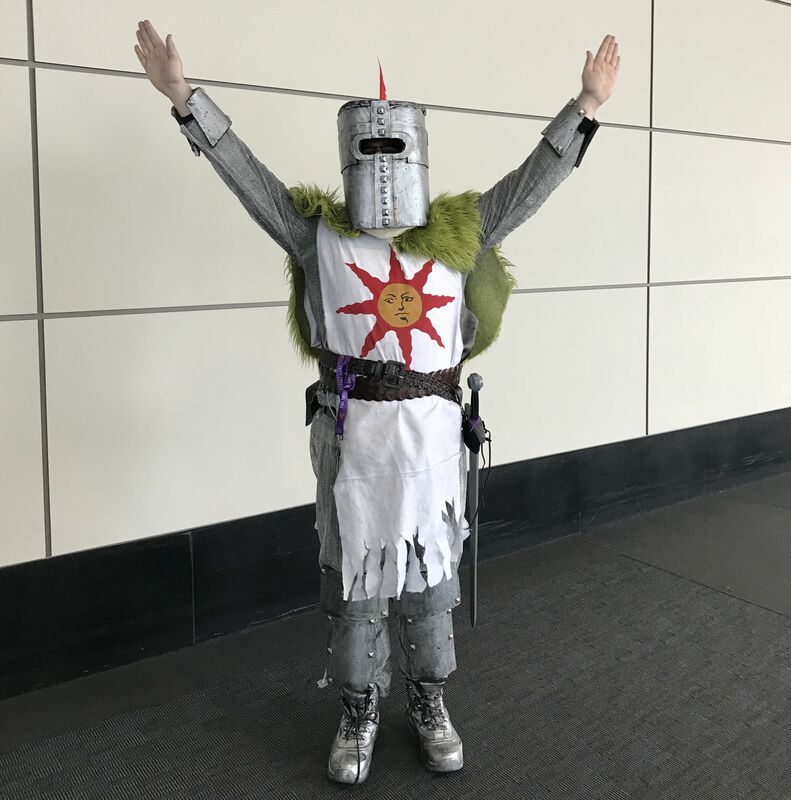 We'll start things off nice and easy with an uplifting Solaire of Astora cosplay. I always had a soft spot for the sun-seeker. I guess I'm not the only one; he's a popular cosplay subject. Maybe I shouldn't put ideas in people's heads, but I wonder what an "angry Solaire" cosplay would look like? Like, what if a cosplayer shot up two middle fingers at the photographer instead of praising the sun? That'd be wrong, but kind of funny. Wahhh! 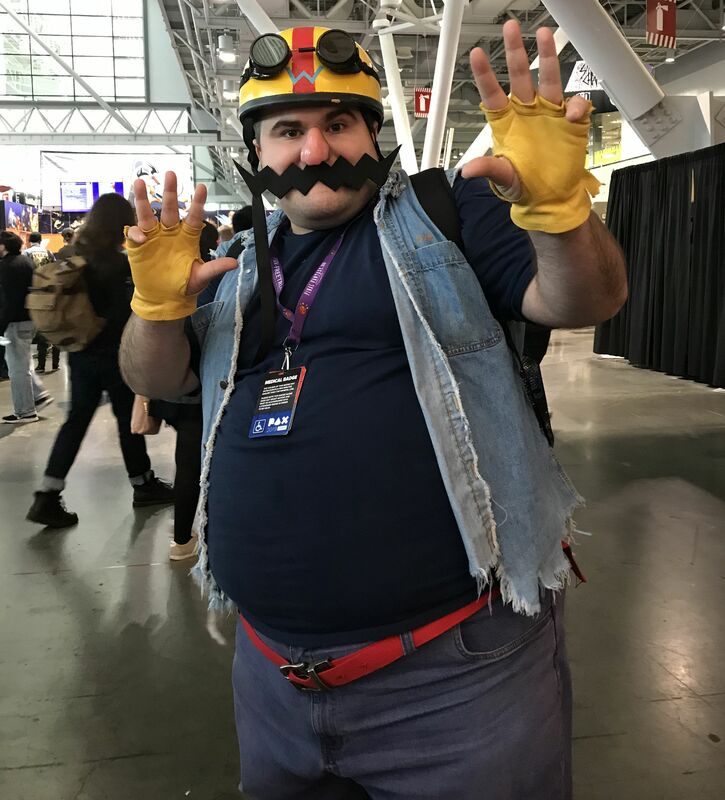 This is a great Wario. He needs a flashy motorcycle, but I admittedly wouldn't have appreciated seeing that when I was packed shoulder-to-shoulder with other con-goers on Saturday. Well, I'm convinced. The "Big One" logo doubles as a Big Boss joke, too. "OOOOH!" What a great Legend of Zelda: Breath of the Wild Beedle costume! Even looking at it makes my back hurt, though. Kudos to the player for pushing through the pain. As Beedle himself likes to say, "Love is the answer!" 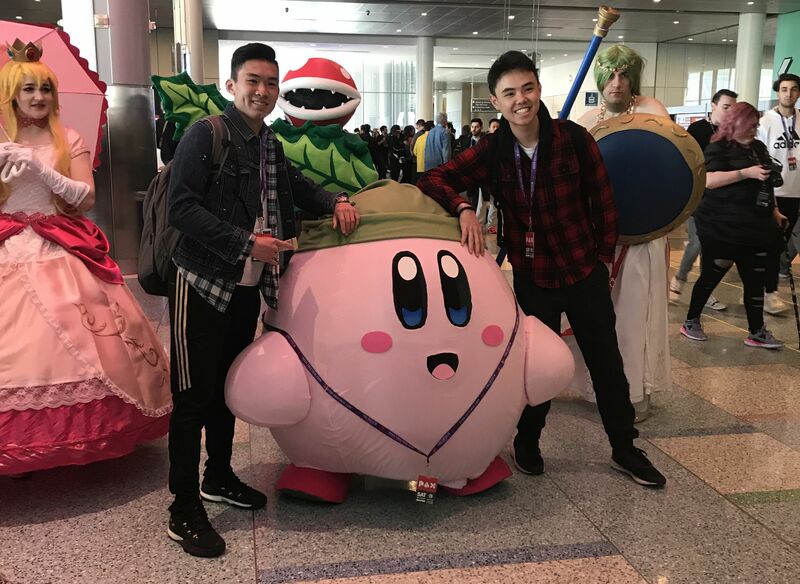 No matter how busy I was during PAX East, no matter if it was three in the morning, my thoughts kept returning to this Kirby's monstrous lanyard. It's just beautiful beyond compare. Apparently, it's ten normal lanyards stitched together. Jeeeeeez. 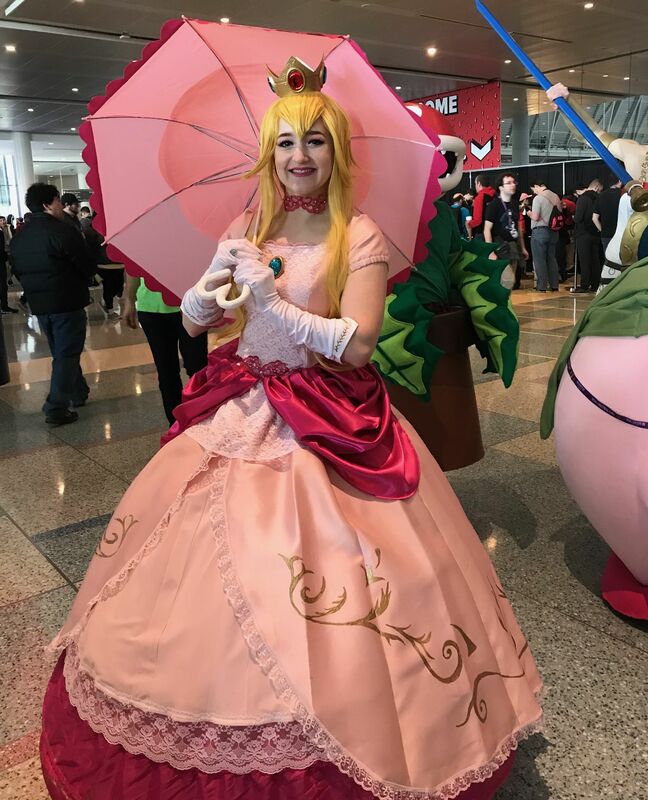 This lovely Peach didn't haunt my dreams like Kirby, but I came away with stars in my eyes regardless. That gown is hand-made! 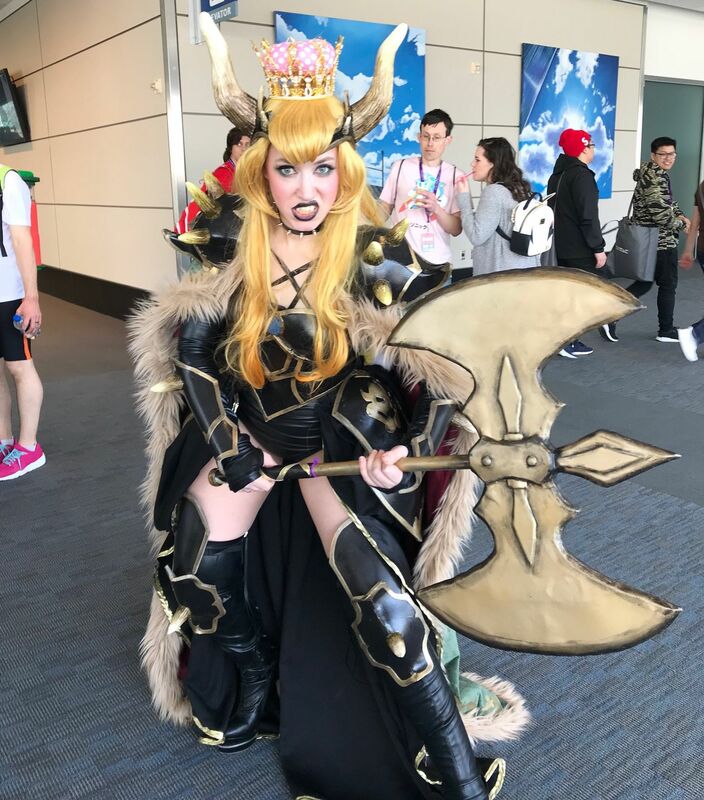 Unsurprisingly, there was more than one Bowsette at PAX East. This is by far my favorite attempt at a costume based on the gender-swapped Bowser supermeme that consumed the world last Fall. This incredible lady's costume even includes fangs. Grawr! Great use of the golden axe that cuts down Bowser's bridge in the very first Super Mario Bros., too. 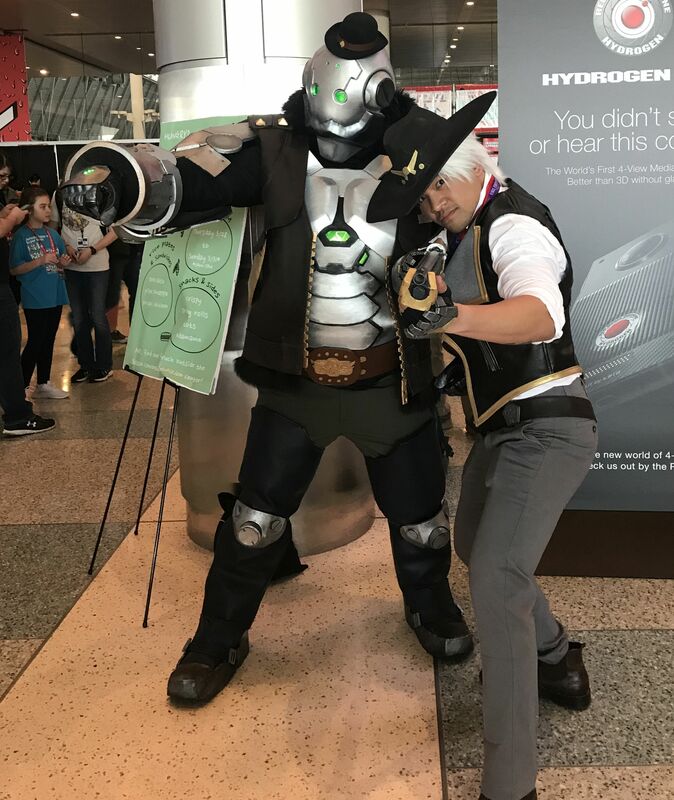 Speaking of crossplay, here's a wonderful masculine Ashe with Bob from Overwatch. I had to wait a minute before I could snap the picture because poor Bob had to take off his "face" for a second to actually breathe a gulp of fresh air. I never thought I'd ever find myself intrigued by a crossover between D&D and Pokémon's beloved Eevees, but here we are. 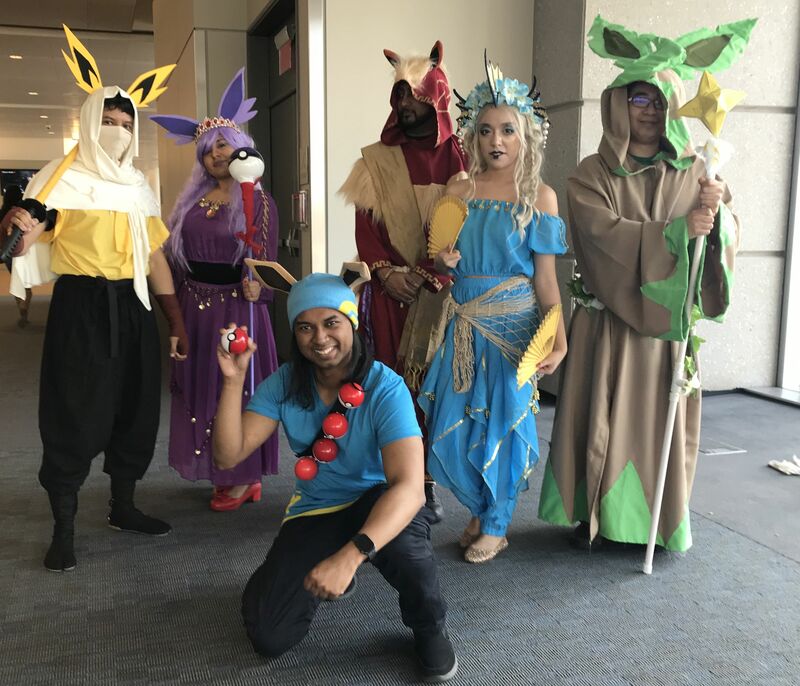 The Vaporeon informed me you need a lot of friends to pull off this cosplay. I spent the night sobbing about how a D&D / Eevee crossover is certainly out of my reach. 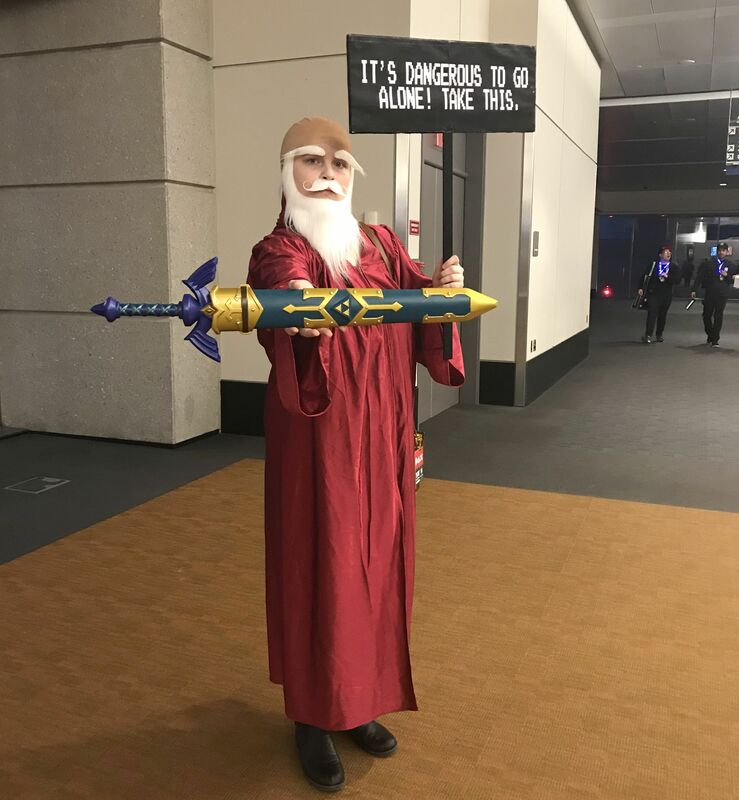 You might not know it, but the PAX East venue was rigged for its lights to spit fireballs at anyone who tried to whack this old man. Not that I found out the hard way or anything. Finally, let's end with a great cosplay of the One Girl versus The Whole World. I love the lights, the battle damage on the armor, and how Solid Snake is just kind of standing way behind Samus by total chance. Thanks to the cosplayers! May your sewing calluses never soften. We have tons of amazing coverage from our PAX East jaunt, so check it all out. Make sure you read my impressions of Bloodstained: Ritual of the Night on the Switch, take a look at Mike's hands-on with Divinity: Fallen Heroes, and read Kat's impressions of Cyber Shadow by Yacht Club Games. Disclosure: USG is owned by ReedPop, which runs PAX East. Tagged with Action Adventure,	Feature,	kirby,	Metroid,	Microsoft,	Nintendo,	PC,	PlayStation 4,	Retro,	Shooters,	Sony,	Switch,	Xbox One. Zelda Breath of the Wild VR Release Date- How Does Breath of the Wild Work With Labo VR? Here's all the information you need to know about The Legend of Zelda: Breath of the Wild getting VR support with Nintendo Labo.